Local celebrity chef Deb Paquette has unleashed her culinary ingenuity at Etch. 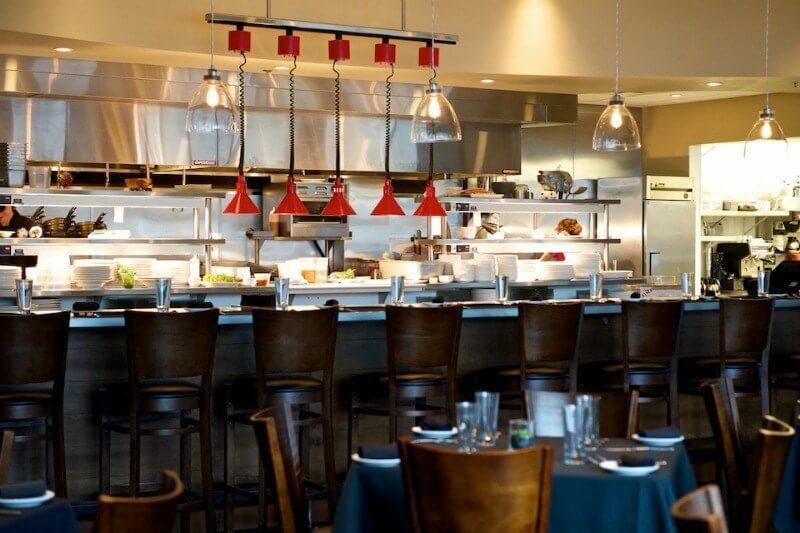 The ultra-sleek restaurant is outfitted with contemporary decor and features an open kitchen with bar seating. The interior is stylish and the food is too. Etch’s menu is comprised of rich vegetarian dishes, fresh fish and premium cuts of meat, all of which are adorned by inventive sides and sauces. The cocktails at Etch are equally compelling and the wine list pairs elegantly with any menu selection. A great place for lunch and dinner, Etch also provides private dining options in several of their beautifully furnished rooms. Don’t skip dessert! Etch boasts one of the most talented pastry chefs in the city. “This was definitely the best restaurant we’d been to during our first trip to Nashville and the best meal we’ve had in a long time. Different than anything else I’d had. The blend of flavours was unusual yet just worked.”-Mat B.
Mon-Fri 11 a.m. – 2 p.m.
Mon-Thurs 5 p.m. – 10 p.m.
Fri-Sat 5 p.m. – 10:30 p.m.
Of note: Bar opens daily at 4 p.m.